He helped construct modern Lahore. His tenure as the executive engineer of the city is referred to as the Ganga Ram architectural period. 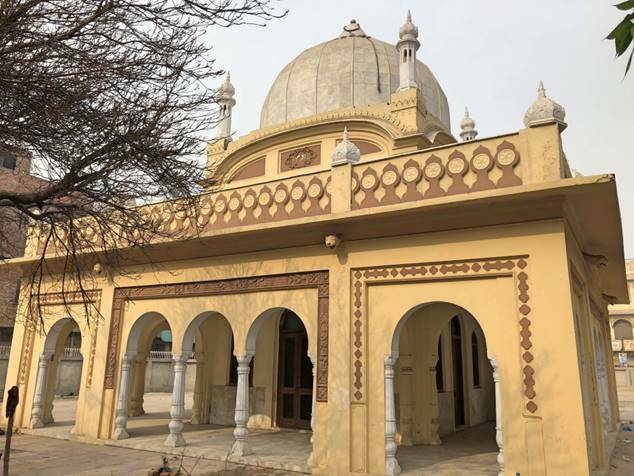 As I entered the samadhi of Sir Ganga Ram in Lahore, I took out my phone to photograph the small yellow, domed structure standing on one side of a vast enclosure. I managed to sneak in a couple of photographs before a middle-aged man jumped up from his chair under the shade of a tree near the building, wagged his finger, and asked me to stop. He was a government official posted here to look after the memorial where the ashes of the philanthropist who designed and built several of Lahore’s landmarks are interred. 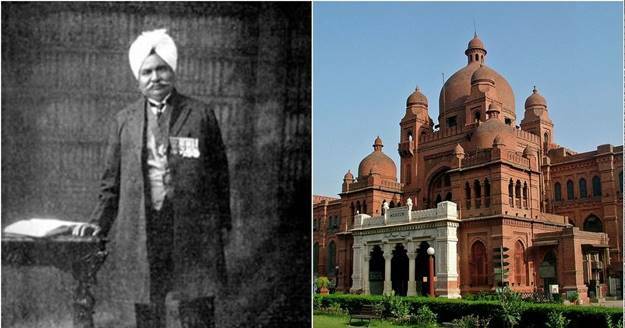 Indeed, his tenure as the executive engineer of Lahore towards the end of the 19th century and beginning of the 20th century, is now referred to as the “Ganga Ram architectural period”. Traveling around Pakistan, I have become accustomed to the attitude of government officials at historical structures. I have often been barred from photographing these buildings. Sometimes, the officials relent when I tell them I need the photographs for a journalistic assignment, but even that does not always work. This official was adamant. He told me to go to the office of the Evacuee Trust Property Board, the department responsible for looking after the abandoned properties of non-Muslims in Pakistan, including temples and gurdwaras, and return with permission to take photographs. I did not do so as I already had a few pictures of the samadhi from one of my earlier visits. But I continue to be baffled by the government’s policy of not allowing people to photograph some historical structures that it is in charge of. An old man who lives in a hut behind the samadhi, within its enclosure, walked up to me and gave me a guided a tour. He told me how the entire enclosure had been encroached upon. It had housed several refugees of Partition till the 1980s, when the government decided to take charge and renovate the structure. Only one house was permitted – that of the old man, as he was given the responsibility of guarding the building. He told me how, in the name of renovation, a pool that was constructed along with the samadhi, was also filled with earth, becoming the courtyard upon which we now stood. The walls outside were painted, while marble was laid on the floor and on the building’s interior walls. The samadhi stood at the centre of a hall. 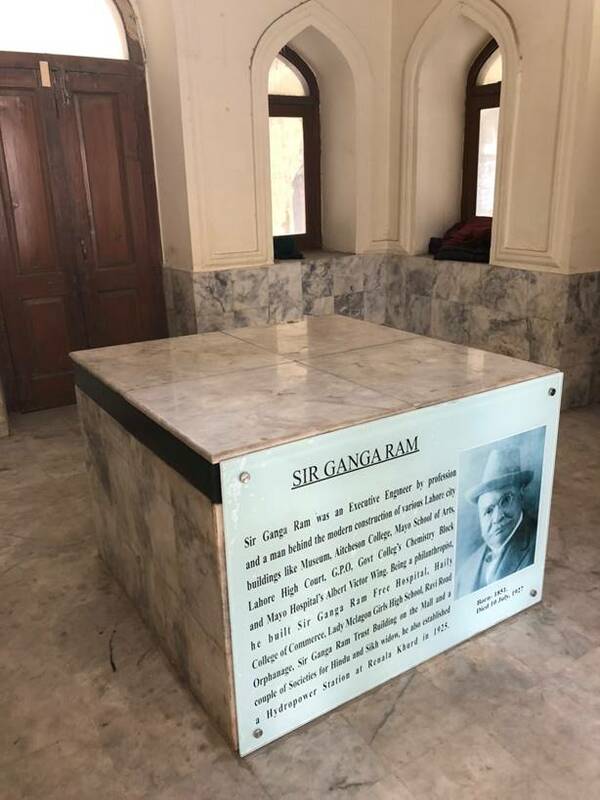 It was a little platform tiled with marble, one side of which bore a brief history of Ganga Ram, along with his photograph in which he wore a suit and a hat. He died in London in 1927. The samadhi of Ganga Ram. (Photo credit: Haroon Khalid). Lahore, in the middle of the 19th century, was not the city we know today. For almost half a century it had served as the political capital of the Khalsa empire, but it was far from the provincial capital it was under the Mughals. Its dilapidated Mughal mausoleums and remains of the vast Mughal gardens that were unkempt and encroached upon reflected a lost glory. Under Maharaja Ranjit Singh, Lahore’s neighboring city, Amritsar, had emerged as the economic hub of the empire. In the first comprehensive census of British India in 1881, the population of Lahore was 1,49,000 compared to 1,52,000 of Amritsar. The city transformed under the colonial state that used it as a symbol of its imperial power. A narrative was crafted, of a city rising from the ashes of its Mughal past. After the turn of the century, Lahore became one of the largest cities of the Indian subcontinent. It became a city of migrants. According to the 1911 census, 46.3% of its residents were those who were not born in the district. In many ways, the story of Ganga Ram is the story of Lahore, a city that he helped transform into the symbol of the colonial state. He too was a migrant who, after acquiring a degree in engineering, migrated to the city for better economic opportunities. This is a time when the colonial state, in the aftermath of the war of 1857, was redefining itself. The British increasingly began appropriating indigenous Indian symbols of authority to present continuity between former empires of India and the new British Empire. Architecture played a pivotal role in this depiction, and led to the emergence of the Indo- Saracenic tradition. In this architectural approach, an effort was made by the colonial state to incorporate traditional structural techniques with colonial architecture. This was a conscious effort to depict British symbols of authority in traditional visual forms for the local populace to marvel at. Architecture was a powerful propaganda tool at the hands of the colonial state. Lahore, along with other major cities of British India, served as the canvas upon which this narrative was painted. 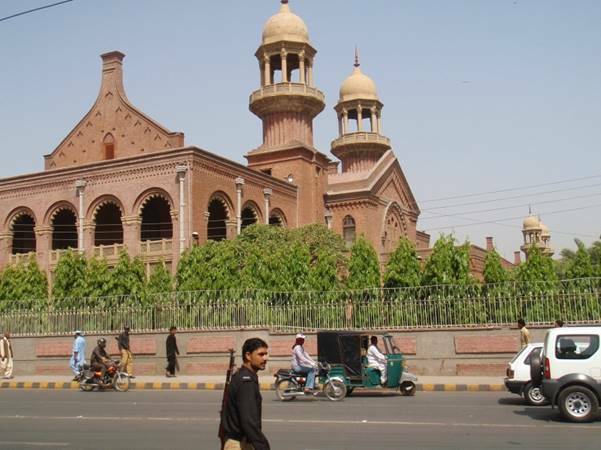 The Lahore High Court, the museum, Post Office Building, Aitchison College, the Anglican Cathedral, and National College of Arts are a few of the several examples constructed following this hybrid tradition. In these structures, balconies, columns and watch-towers, interact with domes, chattris (canopies), arches and screens. 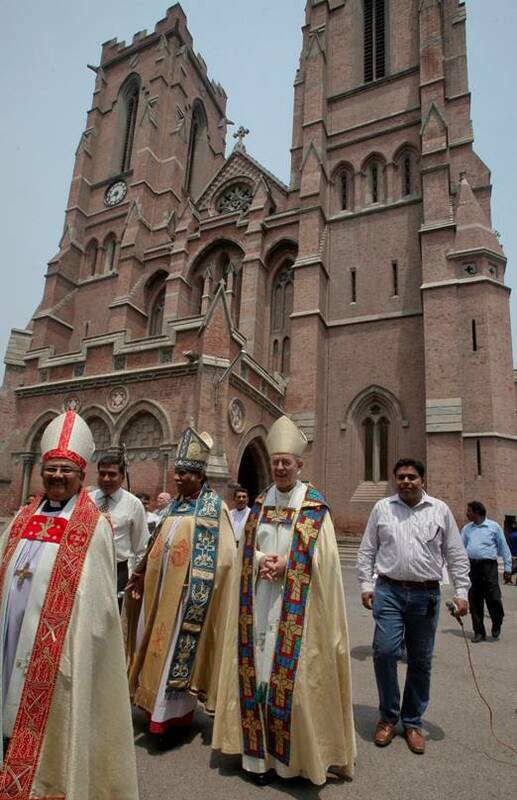 The Archbishop of Canterbury (second from right), the most senior bishop of the Church of England, and others at the Anglican cathedral in Lahore in 2014. (Photo credit: Reuters). In Lahore, all of these iconic structures were raised by Ganga Ram. Working with the colonial state, he transformed the landscape of the city to reflect the glory of this new empire. A new city, even more glorious than the former, had been raised from the debris of its Mughal past. Lahore had a new master and its architecture was a testimony to this fact. In many ways, the Lahore of today is a continuation of this colonial city. It continues to serve as a symbol of the Pakistan state. Its Metro-Bus and now the Orange Line projects are meant to be stamps of authority. Ganga Ram helped build this narrative. He transformed the city into a proverb that it continues to be. The Lahore of today owes much more to Ganga Ram than it would care to admit.